BEN TUCK DOMINATES SPA DEBUT WITH POLE, FASTEST LAP AND CLASS WIN! Ben Tuck had his first taste international racing last weekend when he took part as a Guest Entry in his Mazda MX 5 at the legendary Spa-Francorchamps circuit in Belgium, site of perhaps the most famous corner in motorsport history – Eau Rouge. 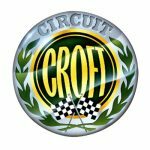 The circuit was fresh from hosting the Formula 1 Championship the week before where Lewis Hamilton won. Perhaps appropriately, the weekend served up a Formula 1 style mix of drama and intrigue, with Ben dominating with fastest laps in Practice, Qualifying and Race 2 with a Pole Position, Class Win and also claiming the fastest MX5 lap of the weekend. However, it was not all plain sailing for Ben as he had to contend with a freak mechanical failure and last minute rule clarifications which looked set to derail his weekend. More than 60 Mazda MX5’s came together at the International GT Open event, split equally between the Dutch run MX5 Euro championship and the UK based 750 Motor Club 5 Club Championship, with the Dutch spec cars being slightly faster. Ben gained a guest entry to the UK race of 36 cars. 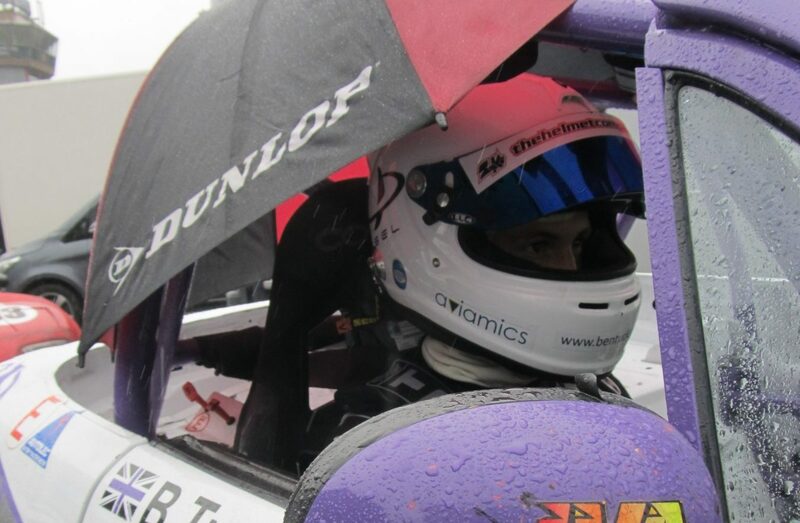 In typical Spa wet and changeable conditions Ben’s very first experience of the historic track was in heavy rain during practice where he posted a lap time 2 seconds faster than any of the UK spec MX5’s. He carried this performance through to qualifying in damp conditions. With the car working perfectly, he posted the fastest lap by 1.1 seconds taking Pole Position ahead of all the regular 5 Club drivers. Following the qualifying session, a rule ‘clarification’ was distributed, which meant that Ben and the other Guest drivers would have to start at the back of the 5 Club grid for both Race 1 and Race 2. This mean that Ben would start Race 1 in 32nd place at the head of the Guest group. Following discussions, it was subsequently agreed that the Guest drivers could start Race 2 in their finishing positions from Race 1. Those discussions proved pointless however, when the following morning, when moving the car for the first time since qualifying, it was discovered that the rear wheel hub bearings had locked in a bizarre never seen before failure. The team struggled valiantly to fix the problem but was unable to get the car to the grid and Ben could not take part – he would start Race 2 from the back after all. After generous help from another team, Ben’s car was fit for Race 2 as he rolled out to take his position at the very back of the grid in 36th position. With focus and determination, Ben set about an epic battle to catch the leaders from the back. After 1 lap, Ben had overtaken 18 cars to reach 16th, claiming another 5 on lap 2 to reach 11th. Not satisfied with this, Ben was determined to dominate with a charge the like of which is rarely seen. By Lap 3 he was in 9th, Lap 4 in 8th and catching the leaders. By the final lap Ben had climbed an incredible 29 places to reach 5th position and the Guest Class win. He topped it off by claiming outright fastest lap of the weekend a full 4 tenths of a second per lap faster than any UK or Dutch MX5. In no doubt that his international debut could have netted a double win, Ben nevertheless stamped his authority on the meeting in front of an influential GT crowd with fastest in Practice, fastest in Qualifying, Class win in Race 2 and outright fastest lap of the weekend. His performance has triggered the interest of a number of teams, however Ben desperately needs the financial support to take advantage of those opportunities. Ben is searching hard for more partners and sponsors to join him in reaping the huge commercial benefits of his potential in professional racing. 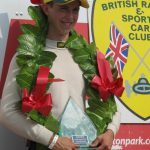 With his performance on a high, Ben next races in his own BRSCC Mazda MX5 Championship at Croft on 13th September.